It’s weird, really. You may have come to my site to read a tutorial about how to get the most out of Facebook ads. But the dirty little secret is that list building is my most important revenue source, and it’s not that close. Don’t get that twisted. Facebook, generally, and Facebook ads are very important. Not only is Facebook critical to my traffic-driving engine, but it’s also central to my list-building efforts. But once you’re on my list, there’s no method that is more efficient at driving traffic and sales. None. I typically add about 100 people to my list on a given day (conservative count, it’s often more). I use a wide variety of methods to do this (we’ll get to that in a minute), but note that I’m referring to new subscribers only — ignoring current subscribers who registered for something new in this count. My list today is a shade over 100,000 people, but that is also after a series of list cleanses. We run a campaign every quarter to re-engage anyone who hasn’t opened anything during the past four months. If they still don’t engage, they’re removed from my list. I point that out because it’s important to have perspective on numbers. It’s easy to have a large list, but it’s more valuable to have a large, high-quality list. My list was started in early 2012 — about six months after this website began. One lesson learned and piece of advice I often give is that I waited six months too long. Don’t wait. If you have a website, give people a way and a reason to provide their email address. I don’t care if you get one new contact per month or 1,000 per day. Just do it. A high-quality list is an unfair advantage when it comes to traffic. Immediately after publishing a new blog post, I schedule an email to be sent to my list that will promote that post. I could ignore Facebook and Facebook ads if I wanted to get crazy. I could disappear after that and still drive traffic. While results vary, a single email to my list almost always drives at least 2-3,000 people to a blog post. And that is conservative. 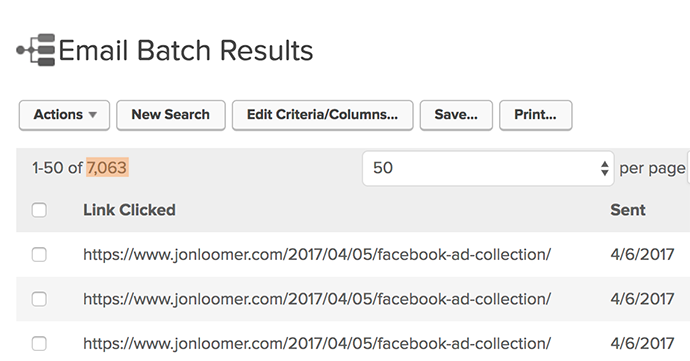 Last month, I wrote a blog post about Facebook ad collections. Doesn’t sound that interesting, really. I sent an email to my list, and it resulted in 7,063 people going to my website to read it. Without the list and Facebook, how many people would have found that post? Luckily, I won’t need to find out. I don’t like talking about money. I think it’s tacky. It’s also easy to provide misleading and inflated numbers to make myself look successful. I started a 4-week training program on the Facebook pixel in February. Of those who signed up, 207 did so after clicking a link to the product landing page in one of my emails. Those are some very high-value clicks. Facebook is still very important, and it’s a big reason for the size of my list. Organic traffic from Google also drives a sizeable chunk. But my list is ultimately the most important traffic and revenue driver for my business. So, you get why list building is so important to my business. You understand why you need to focus there, too. But, how do you do it? Where should you start? Step 1: What’s the Ultimate Goal? You must start here. It’s far too easy to say, “I’m going to create an ebook (or webinar or video series, etc. ).” The goal will set your path. In almost all cases, you’re trying to sell something. It could be a physical product, digital product or service. As an example, let’s focus on my Facebook Pixel 4-Week Training Program. Look at this as an effort to reverse engineer the purchase path to a single product. Who would be most likely to need your product? What content could you create related to this problem? The end goal is to create a funnel that attracts our ideal customer. That ideal customer may not be ready to buy now, but they have a problem that we’ll address with this valuable piece of content — a problem that will be even better handled by our paid product or service. Far too often, the typical business thinks list building means creating a newsletter. No. People don’t want your newsletter. Your potential customer’s email address is valuable. You know that. They know that. Give them something of value in return. In my example, I created Keys to Success, a webinar that I conduct on a monthly basis. This webinar focuses on the factors that contribute most to success and failure of Facebook advertising. A recurring theme is that the Facebook pixel is required for many of the strategies. 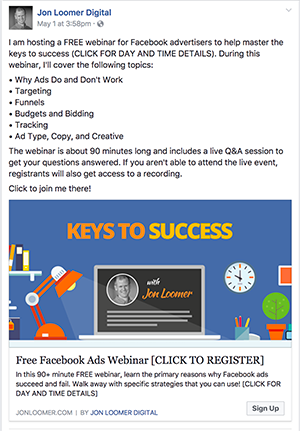 While 60 minutes of the webinar presentation are ad-free, the final three minutes are focused on the Facebook pixel training program. Understand that not everyone consumes content in the same ways. Balance time, effort and shelf life when determining the format (or formats) you’ll use. 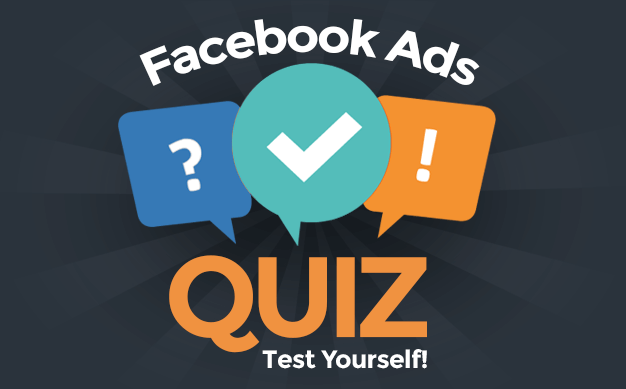 I know that the topic of Facebook ads is fluid and changes quickly. 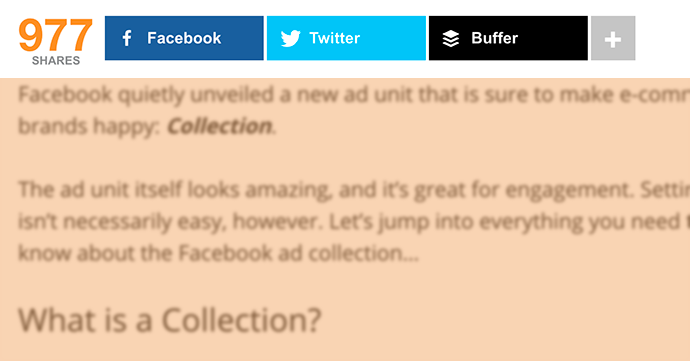 That’s why I’m not a big fan of creating lead magnets that are based on static content. That static content gets outdated quickly. I then need to update it or scrap it altogether. That’s why my preferred format for this content is a webinar. I create the content once, and I can conduct webinars on a monthly basis based on that content. When things change, I can make these minor tweaks very easily. However, that doesn’t mean I should ignore other formats entirely. Not everyone attends webinars. And they also present time zone issues since my audience is international. I will never get a high percentage turnout. That’s why I’ve also created a Keys to Success video series based on the webinar of the same name. This way, registrants don’t need to wait days or weeks to consume the content. They can start consuming immediately. And they do so on their time. So, consider what works best for you and your potential customer. If possible, you may want to develop multiple lead magnets using varying formats. You may not have noticed, but my website is third party ad-free. There’s no AdSense on the side. There aren’t any ads popping up in the middle of content. There aren’t ads in the comments. Why? Because I know that real estate is valuable. If it’s going to be used to promote anything, it will be used to promote my own products. Otherwise, the existence of third-party ads says that I can make more money promoting someone else’s products than my own. Let’s be very, very clear what this is. We’re not talking sponsored content here (mainly because it’s not promoting another business). This isn’t contrived content. It’s not worthless, fluff content that requires an email address to learn more. In most cases, it’s writing a blog post on a topic that sticks to the same theme that’s covered in the related webinar (that is addressed by the related product). An obvious example of this on my website is the 7 Keys to Facebook Advertising Success post. At the top of the post, I make it clear that the blog post summarizes what I cover in my 90-minute webinar (which I link to in the post). While these are all tightly aligned with the end goal, the truth is that all posts I write about Facebook advertising are related to my product. As a result, this content is also helpful for indirectly driving signups by attracting the right traffic. What I mean by that is you click on a link to one of these articles via social media, a Facebook ad or Google search. Once there, you may click internal links, fill out forms or go elsewhere on my website that leads you to register. I regularly cross-promote as well. You’ve seen it in this post. Understand that I didn’t write this post to consciously promote other products and content. It’s just that all of these things are interconnected, so it’s easy to bring them up in the discussion. 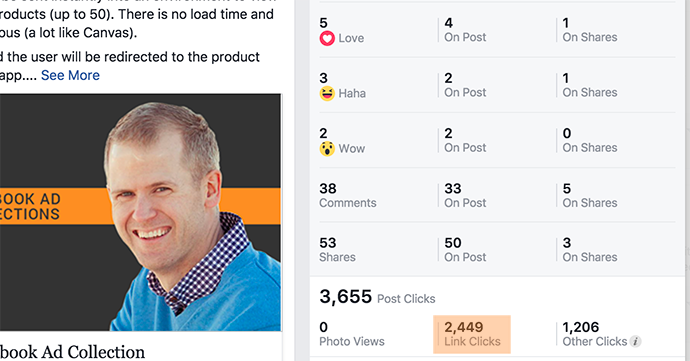 And finally, by visiting these pages, I can create remarketing audiences to reach you with Facebook ads promoting my webinar or training program (but we’re getting ahead of ourselves — more on that later). As I said, I don’t monetize my website with third party ads. That’s valuable real estate that I’d rather use to promote my own stuff. If you’re on your desktop, check out the right-hand column. If you’re on a mobile device, scroll below. You’ll find opt-in forms relevant to the type of content you’re reading. Since I’ve made the move to writing about entrepreneurship in addition to Facebook advertising, I also make sure that the forms in the sidebar are relevant to the content in the body. While I feel strongly that you should offer something beyond a newsletter, I also realize that sometimes people just want to be added to my list so that they’re informed of changes. That’s why I also add a newsletter form at the bottom of every post. Look, I hate pop-ups. I really do. And I go back and forth on this one because “they work” should never be reason enough to do something. I got rid of pop-ups for about six months. The reality is that I’ve had six-month periods like this throughout my business. As I type this, I’m using them again. But I’m trying to use them more intelligently. They won’t pop up every time. They only appear on posts, based on your behavior. And whether you see a pop-up for my Keys to Success webinar or What Now? webinar for entrepreneurs will depend upon the post that you’re reading. This is something I’ll continue to monitor. For now, pop-ups certainly add a nice chunk of registrations. My goal is to limit the annoyingness of them as much as possible. Pretty simple. I’ve split my content into “Facebook” and “Entrepreneurs” sections. Hover over either of those two links at the top, and a link to the associated free webinar will appear. This won’t drive a large percentage of my registrations, but every bit counts. Everything in Step 4 is important. But I drive the majority of my registrations from off-site sources. You won’t be surprised about what is driving this: Facebook, generally, and Facebook ads, more specifically. I don’t do much else off-site to drive registrations. Sure, I’ve used CTA buttons on my Facebook page to drive registrations. I’ve published posts to my page about my opt-in offerings. I add CTA forms within my Facebook Instant Articles. But the organic portion of this is small. At this moment, I’m spending about $20 per day promoting my Keys to Success webinar, and another $20 per day on the Keys to Success video series. While this may not seem like much (and it’s a small percentage of my daily ad spend), I’m carefully crafting targeting around people who know me, making sure to reach them at specific times for specific objectives. A week before the date that each webinar airs, I expand the audience and raise the budget. I also have campaigns running to promote my webinar for entrepreneurs. Since I focus on people who know me — and know me well — this method is very efficient, even on a relatively modest budget. I get about 100 registrations per day from Facebook ads. You’ll recall that I said earlier that I get about 100 new people added to my list on a daily basis. Keep in mind that a decent chunk of those registering via a Facebook ad may already be on my list for other reasons. I’ve covered all of it in the steps above, but it needs to be emphasized: Have more than one way that someone can be inspired to provide an email address. I’ve created a webinar and video series around the same content. But I also have an entrepreneur webinar, and I plan to develop a related video series. I may develop an ebook. And, of course, you can also register for my newsletter. I completely scrapped my newsletter for more than a year because I didn’t find the thought of one to be compelling. But don’t forget that sometimes people just want a way to get on your list — as crazy as that may sound! There are two sides of this: Before and after the registration. I use email campaigns to drive people on my list to register. This may seem unnecessary (they’re on my list already, after all!) but it’s actually completely necessary. You take the conscious step of showing interest in a topic. By doing so, you become more likely to make a related purchase. Depending on the registration, there may be a more personal engagement. If a webinar, for example, we can have a live Q&A. This will also make you more likely to purchase. By registering, you are tagged and sent into an additional campaign. This can be automated or manual. Obviously, automated saves time and manual prevents mistakes from templates. I tend to use a combined approach where I use the same email I’ve sent in the past, and manually read it through before sending again. I can’t stress enough how important the list is to your business. You must dedicate yourself and invest in both the building and nurturing of that list. Far too often I’ve seen marketers focus all of their energy on building the list, never able to take advantage of it! Anything you’d add to this checklist? Let me know in the comments below!